Toni Morrison on the Rewards of Adulthood is the greatest thing you’ll read all month. Toni Morrison’s commencement speech to Wellesley College might just be one of the greatest talks of all time. So many wonderful pieces of advice and wisdom, but this is my favourite. 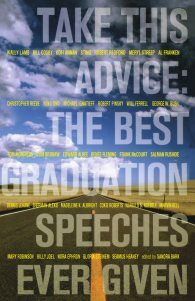 You can listen to her words below, or get the book with this, and many other speeches in Take This Advice: The Best Graduation Speeches Ever Given.